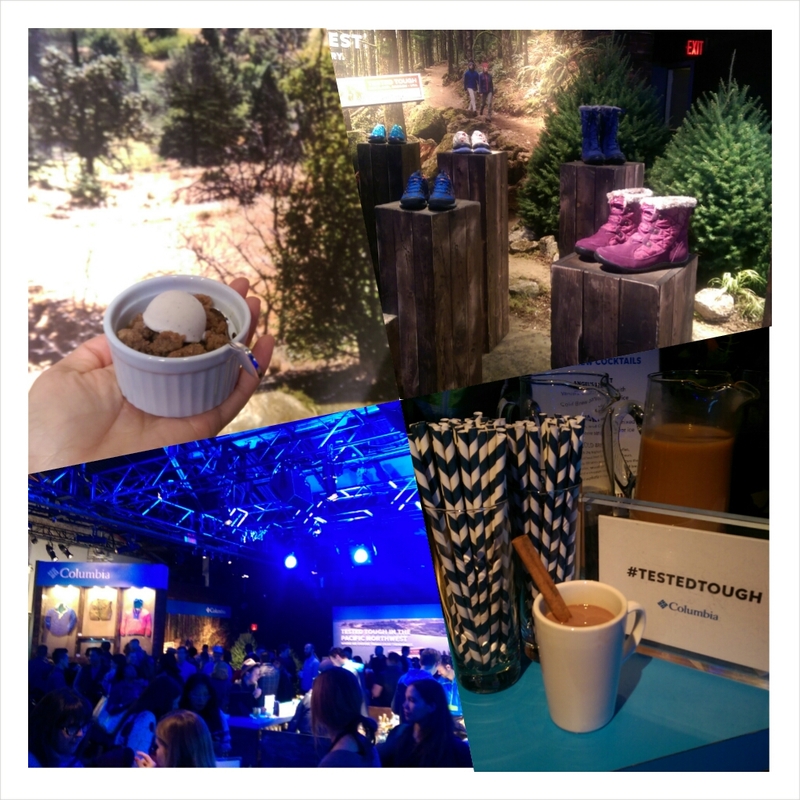 I was recently invited by Columbia Sportswear to be a part of their #TestedTough campaign held in NYC. Any chance I get to visit my favourite city - for business or pleasure, I am there! 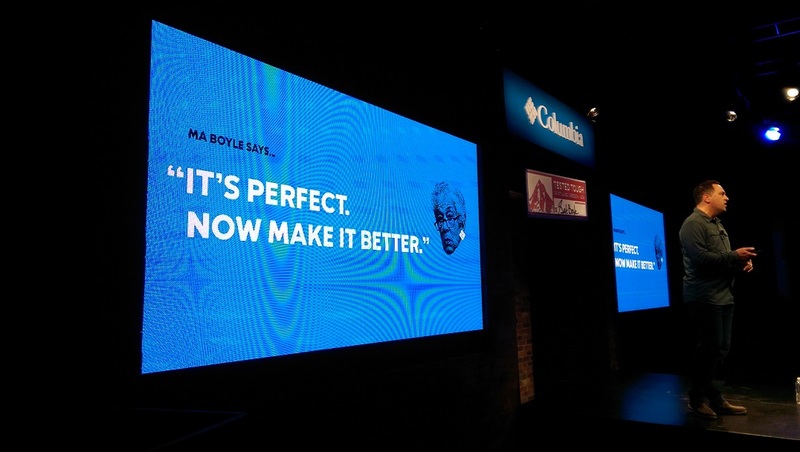 Tested Tough isn’t just an ad campaign or tagline, it’s the promise of Columbia’s 77 year-old brand, and the motivator behind creating and delivering great products. It's tested tough on people like you + I, not in a lab. My mission with partners-in-crime, Trendhunter’s Jordana & Lauren and Jill from Canadian Living, was to test out Columbia’s new collection in the urban streets of NYC. So mixing in a bit of fashion with recos of my favourite hot spots, here's us taking over the Big Apple in 48 hours! Love parks? How about a park in the sky? 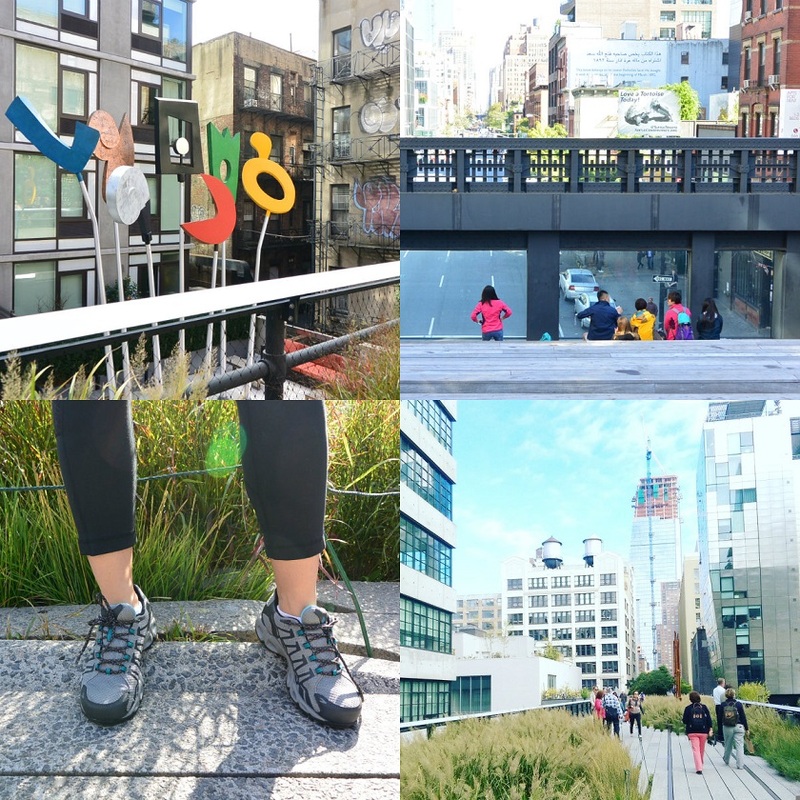 Take a stroll on the 1.45 mile High Line and stop by Chelsea Market for lunch. An indoor food hall of vendors purveying everything from soup to nuts, wine to coffee, and gourmet desserts including the Fat Witch Bakery. Often times, pop-up sample sales and special events are held here too. 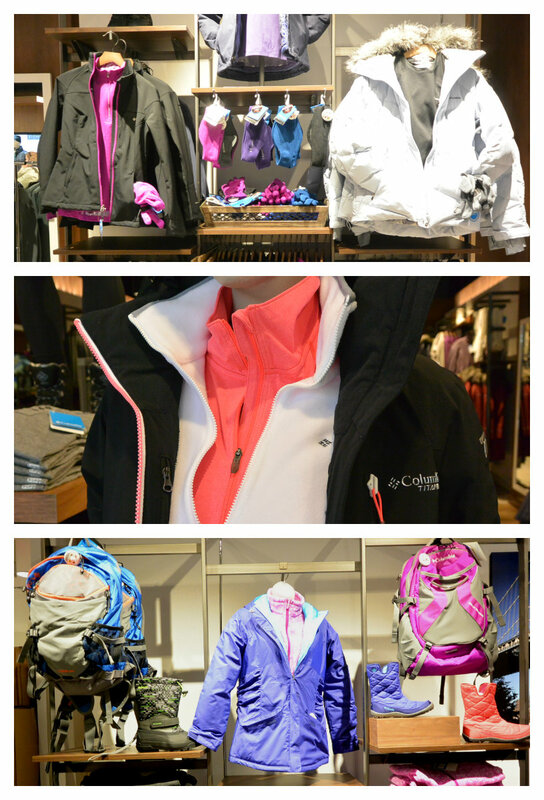 After swing by the Columbia Sportswear flagship store and check out their Fall/Winter 2015 Collection featuring omni-shield (the ultimate rain + stain repellent), omni-tech (breathable + waterproof wear) and omni-wick (clothes that keep active hip + urban girls dry and comfortable). Meat Packing District is a cool + fun area to experience NYC nightlife. 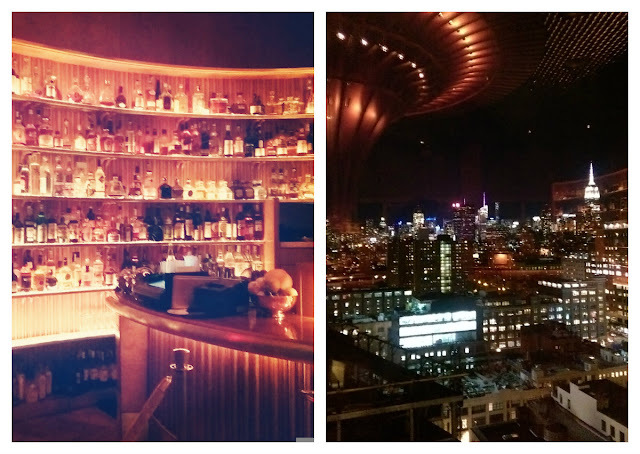 Grab small-bites and a drink at the Top of The Standard, a classy hotel lounge with beautiful views of the skyline. It's a glittering room of late-night lore. Columbia makes it easy to change clothes and go! 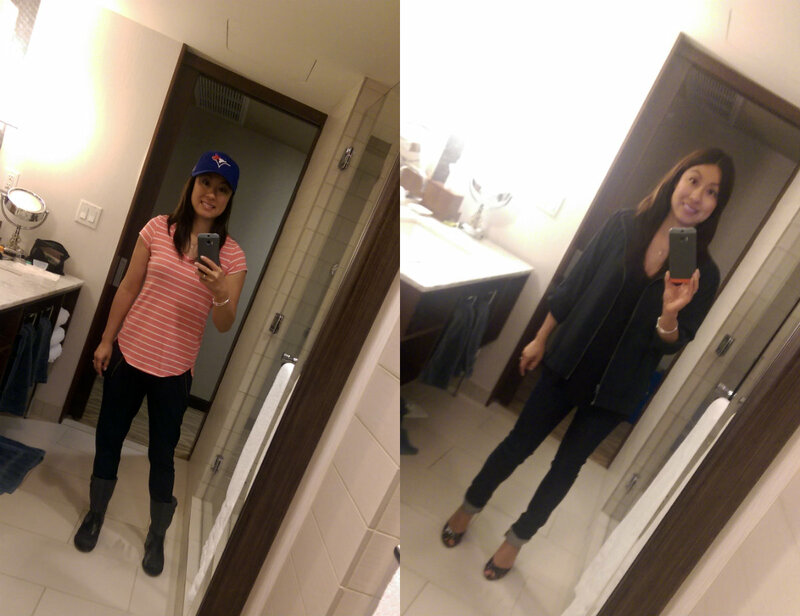 These Departure Point Pull-On Pants (left) and Jacket (right) are my favourite staple pieces in the Spring 2016 Travel Collection. 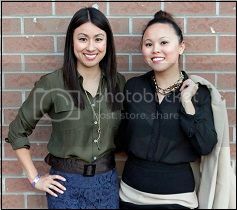 They totally nailed it with the light-weight material that also happens to be dressy and very VERSATILE. I’m so in love with the jacket that I wore it on 3 different occasions... with jeans and a black top for date night, then in the morning, I paired it with a blouse for my casual business meeting with Columbia's executive team, and of course, I wouldn’t even think of being out and about in the city without it. 1) The Founder is Gert Boyle. She’s 91, rocks Louboutins and STILL comes to work at the Portland office. Everyday. I just started reading her biography and she’s one tough lady with a killer sense of humour. She truly is an inspiration. #Girlpower! 2) If you are picturing the powdery slopes of Aspen or hiking the canyons... STOP! Columbia is a lifestyle brand and ALSO makes wearables for the toughest condition of them all... navigating the streets of Toronto! Yep, they make clothes to counter all elements and activities from sports to yoga to lounge wear. 3) Sorrel is part of the Columbia brand. Yes, THAT Sorrel. These boots are made for walking... in Central Park. The best spot to enter the park is on the West Side via 57th Street. Pick up some edibles at Whole Foods in Columbia Circle and picnic while you people-watch. Then walk across towards the East Side towards Fifth Avenue and take a shopping break, of course. When you live in a big city like NYC or Toronto, you walk everywhere. Fortunately with Sorrels you don't sacrifice comfort for style. Take these sassy Tivoli boots for example. They are waterproof, breathable and snug so your feet stay warm while you are basking in the glow of the firelight at the lodge, or trekking through a snow squall to your office. Fashionistas will fall in love with the perfect combination of premium full-grain leather and coated canvas. This 1964 waterproof wedge with a heel cup and arch support was made for the free spirited hip + urban girl! No matter where you are in the city, get ready to indulge! Walk your booties to Big Gay Ice Cream Shop in East Village and enjoy soft serve with names like Salty Pimp and American Glob. 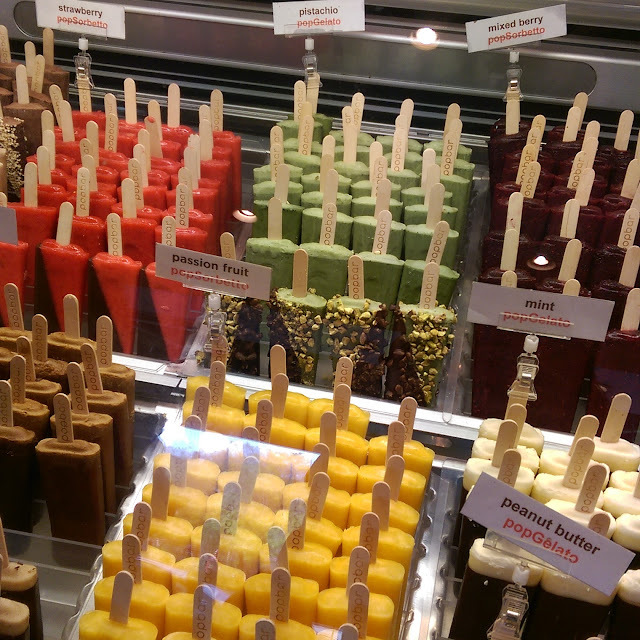 If you are like me and prefer your gelato on a stick, Popbar should be your pit stop before hitting up Greenwich Village. Otherwise cupcake enthusiasts will love Molly's in the West Village (they let you mix & match your cupcake frostings) but skip Magnolia (famous from SATC) unless you like your cupcakes dense and sweet. Mexican (Dos Caminos), Pan-Asian (Tao), Asian Fusion Sharing Plates (Spice Market), Sushi (SushiSamba), Korean (Hangawi), Thai - they serve beer slushies too! (Uncle Boon's), Vegan - or stop here for unique cocktails & desserts (Dirt Candy), Italian (Del Posto), French Brasserie (Lafayette) and Deli Sandwiches (Katz's Delicatessen). 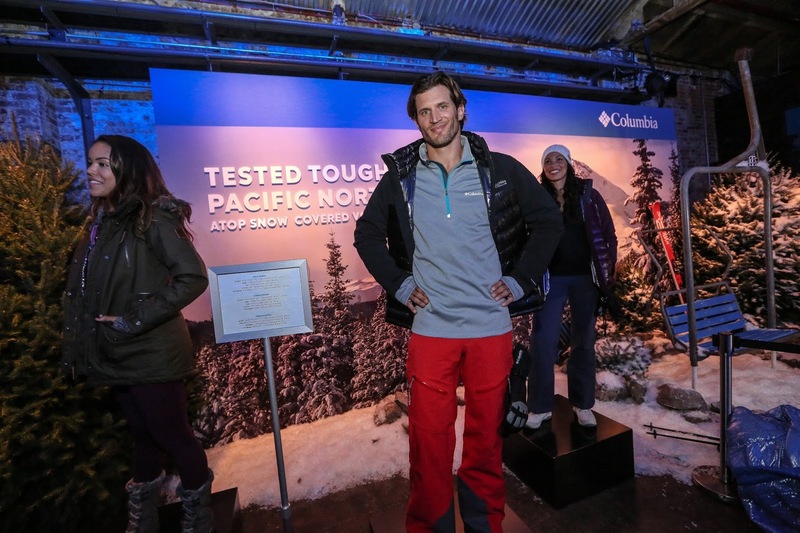 We capped the night off at a party to kickoff Columbia's Global #TestedTough Campaign. Cedar Lakes, an event space in downtown Manhattan was transformed into a winter wonderland with spiked cider, hot chocolate, interactive exhibits and models galore testing it tough with the latest Columbia gear. Columbia has been creating innovative apparel, footwear, accessories and equipment since 1938. Originally a household name for outdoors wear, Columbia has expanded to include lifestyle and performance products that keep people warm, dry, cool and protected year-round. Thank you Columbia for inviting me on this amazingly fun media trip! To learn more or to start shopping, visit their website.